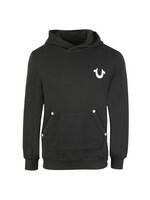 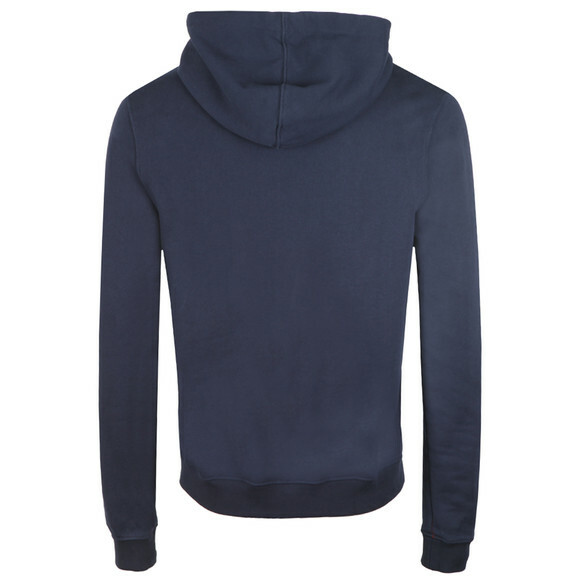 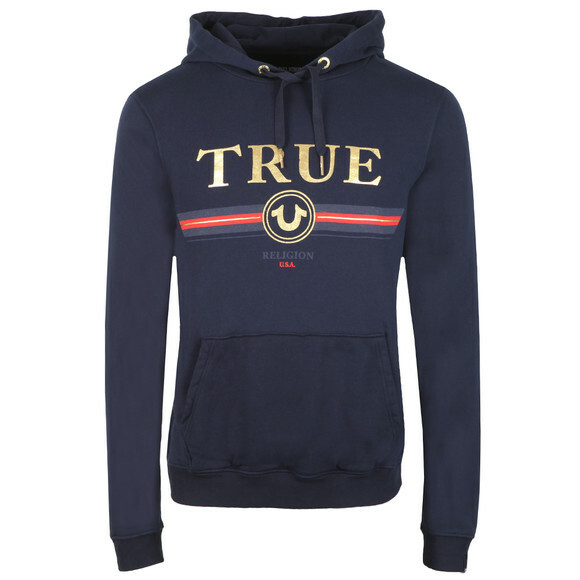 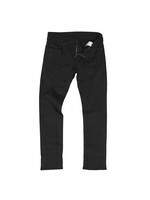 True Religion Gold True Overhead Hoody in Navy, designed with a drawcord hood, elasticated cuffs and hem and a pouch pocket. 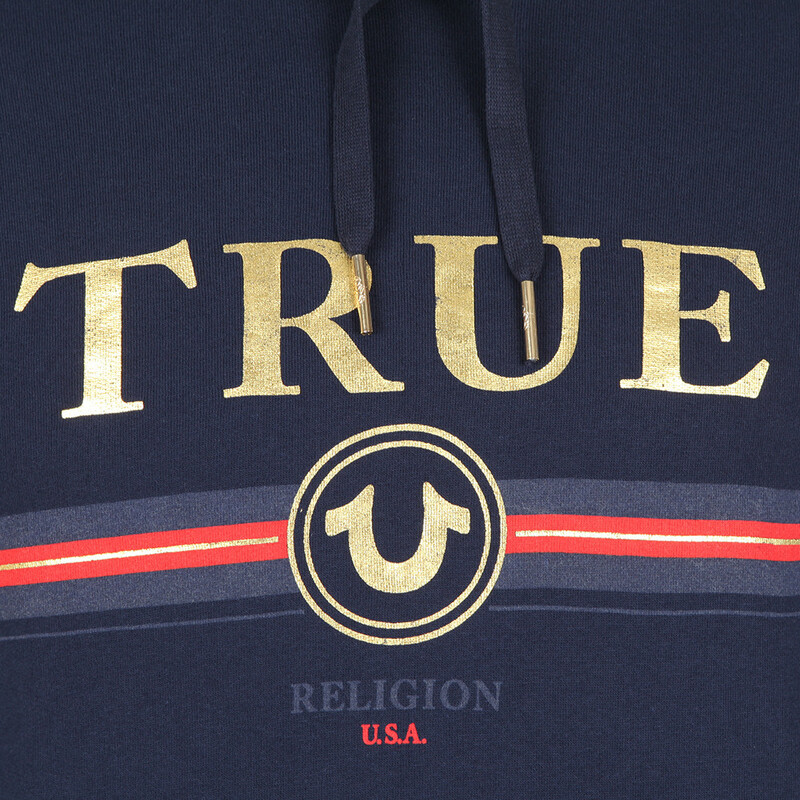 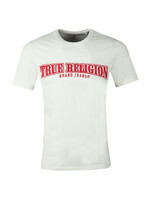 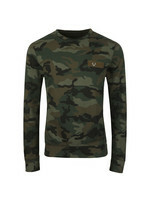 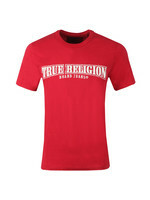 A large True Religion logo has been added to the chest in a mix of print and foiling. 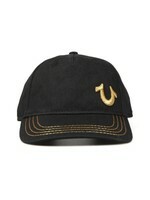 Detailed with an embroidered horseshoe logo, TR branded cuff tab and embossed rivets.